Juliane Huang finds that returning to the USA after two years in Taiwan plays havoc with more than just her skin. I was serious. At the time, I had just experienced my first heartbreak and had no promising job prospects. I needed to remove myself from the situation: my shiny new English degree, my disapproving parents, my stranger-by-the-minute ex… my entire life thus far. Things happen when they happen, as long as you create space for them. So I finally booked a one-way ticket to Taiwan, an easy decision given that I already spoke Mandarin and have extended family there. 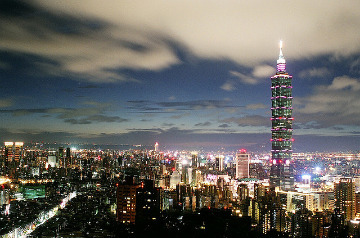 For two years I lived in Taipei, a basin city on the northern tip of the island, and rarely thought about the future. Those years overseas I made and lost friends, then made some more. I went out partying and drinking, staying up to all hours of the morning and living off yummy street food. I worked, studied, and shopped. I was on the go all the time, and all this living in the moment didn’t require me to define any personal or professional ambitions. I loved it! But I was often frustrated with my job as an English teaching monkey, and would get anxious when I thought about returning to the USA to start my “real life.” The combination of heavy Taipei pollution with my general life of crazy wreaked havoc on my skin. I had acne, dullness, uneven skin tone — you name it, my face was suffering from it. 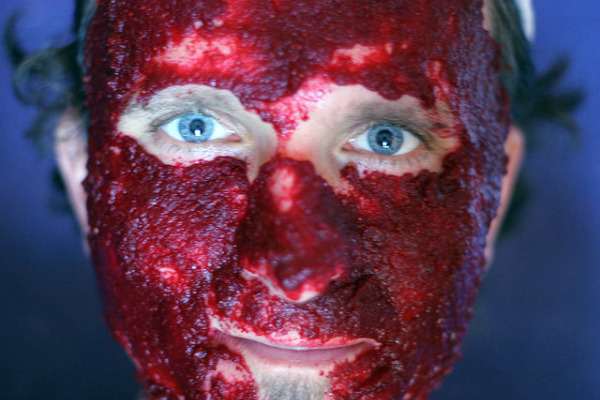 I tried all sorts of home remedies, from putting on egg white masks to exfoliating with aspirin and honey. I became an OCD mirror checker, and every day the sins of my lifestyle were writ large across my face. When it came time to move back to California, I was convinced the comfort of returning home would prove soothing to my otherwise cantankerous pores, and that the lack of greasy street food and all night karaoke lounges would help me lead a healthier lifestyle, effectively aiding me in having healthier skin. But a whole host of new problems I didn’t see coming arose on my return. At home, everything freaked me out: the wide streets, the unnecessary palm trees, the expansive strip malls. That the environment was so familiar weirdly felt so foreign, which threw me completely. I would wander the sidewalks feeling both at home and yet fantastically displaced. I didn’t know what to do with myself. So I stayed home pretty much all day and all night for three months. I couldn’t leave the house. And anyway, my skin was a nightmare, and had to be moisturized and monitored multiple times a day. I used this as an excuse not to go out, as a way to avoid my reverse culture shock. I watched as a close friend who also just moved home — after a year in China — panic and fly back to Beijing… only to try The Big Return again a month later. I decided to take a similar approach to the stand-off with my skin, telling myself just to give it time, and dutifully sticking to my regimen of lotions and potions. I found I had to treat it gently in order to see improvements. I had to treat myself gently. Day by day, my initial shock subsided. I started to feel calmer and more centered. My skin improved as well: the acne began clearing up, the scars faded, and the tone of my skin started to even out. Eventually, I stopped dodging phone calls and started accepting invitations from friends. I got used to banks being open on Saturdays. I stopped looking for street vendors when I wanted a snack. I stopped carrying toilet tissues everywhere I went. I even started driving again. After six months, I was navigating my American life with the ease and habit of longstanding muscle memory. Readjusting to life back home was not something that could be forced; I had to approach it with patience and consistency. Things happen when they happen, as long as you create a space for them. I’m still taking my life day by day, but now there’s nothing in it I’m trying to escape. Have you ever found your body mirroring your mental or emotional state? Share your thoughts in the comments below. And if you want to try out the sorts of natural lotions and potions Juli was using for her face, see our article on Five Matador-Tested Beauty Products You Can Make In Your Kitchen.